If you are planning a vacation at the shore this summer, here is a fun outing idea for the family. 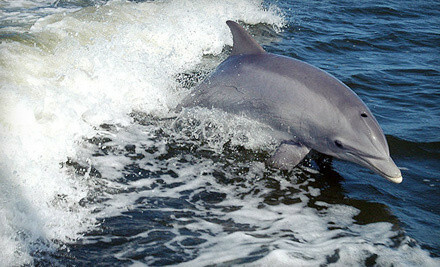 Enjoy a Whale or Dolphin-Watching Cruise for Two, Four, or Six in Wildwood NJ. The two- to three-hour tours depart daily at 10 a.m., 1:30 p.m., and 6:30 p.m.
See site HERE for full details. Thanks for sharing such a nice blog. Actually I found this while searching for Affordable Whale Watching Trips.